The 2010 Deepwater Horizon (DWH) spill in the Gulf of Mexico was the largest accidental release of oil into the ocean, with approximately 210 million gallons gushing from the blown out well. In an attempt to prevent vast quantities of oil from fouling beaches and marshes, BP applied 1.84 million gallons of chemical dispersant to oil to oil released in the subsurface and to oil slicks at the sea surface. The dispersant was thought to rapidly degrade in the environment. A new study by scientists at Haverford College and Woods Hole Oceanographic Institution (WHOI) has found that the dispersant compound DOSS, which decreases the size of oil droplets and hampers the formation of large oil slicks, remains associated with oil and can persist in the environment for up to four years. 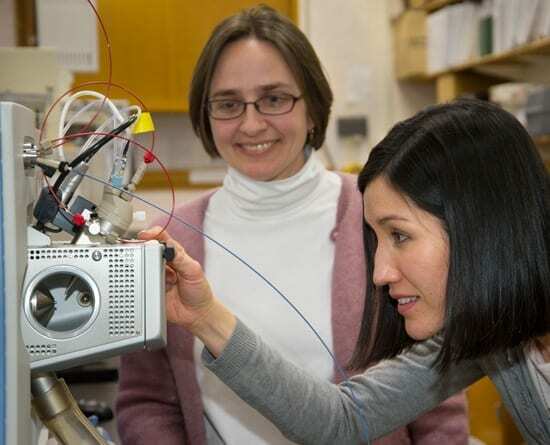 The study was recently published in Environmental Science & Technology Letters. The study examined samples collected from deep-sea corals and surrounding sediments collected in Dec. 2010 as well as oil-soaked sand patties found on coastal beaches since July 2010 to the present. White and her colleague Chris Reddy at WHOI have been monitoring the beaches for oiled samples since the time of the spill. This fieldwork is part of an effort to gain as much understanding about the geographical and temporal distribution of the sand patties. For this study, which was funded by the Gulf of Mexico Research Initiative (GOMRI), White and her team at Haverford developed a method to isolate the DOSS from the solid sand patties. Prior to this study, dispersant had only been analyzed in aqueous samples. White then sent the isolated compounds to Kujawinski’s lab at WHOI, where researchers used sophisticated instruments to quantify the DOSS in samples collected from environments known to contain oil persisting from the DWH oil spill. 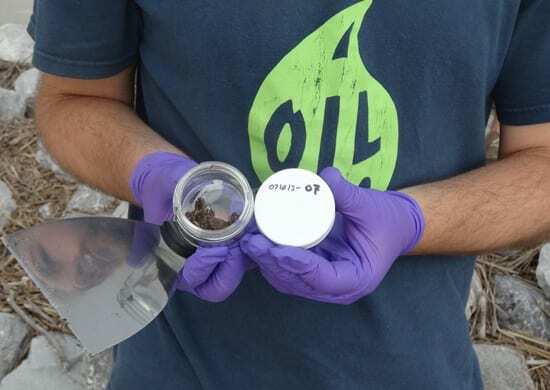 “The amounts we detected are quite small, but we’re finding this compound in locations where we expected the dispersants to disappear, either by dissolving in water or by being degraded by bacteria,” said Kujawinski. 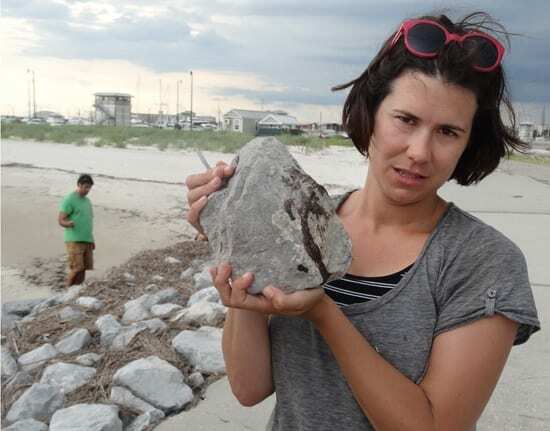 What does the presence of DOSS in deep-sea sediments and corals and in sand patties on Gulf beaches mean for marine life or for the people who frequent the beaches? The scientists say the honest answer is they don’t really know. Until more is known about the toxicity of oil and dispersant mixtures, some Gulf beaches have signs to warn people not to touch the sand patties. The researchers hope to focus future research on gaining a better understanding of why dispersant compounds are able to persist in the environment for so long. In particular, they are interested in learning how they escape degradation in coastal environments where temperatures are higher for a significant part of the year and there is more exposure to sunlight.